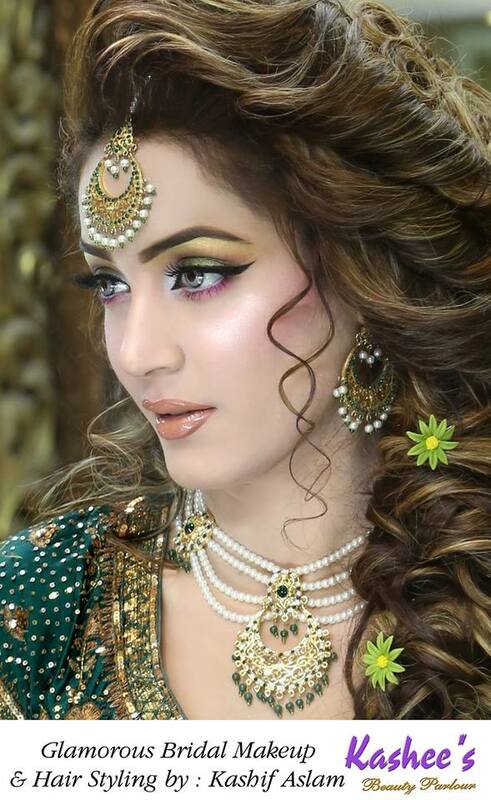 Beautiful Indian Actress Mahhi Vij In KASHEES MAKEUP Glamorous Bridal Makeover Look. She is known for playing the role of Nakusha in Laagi Tujhse Lagan and she also won the title of Nach Baliye 5 in 2013 Kashif Aslam transformed her complete look into Kashees Signature Style and gave her the mind-blowing change which she had never got before. 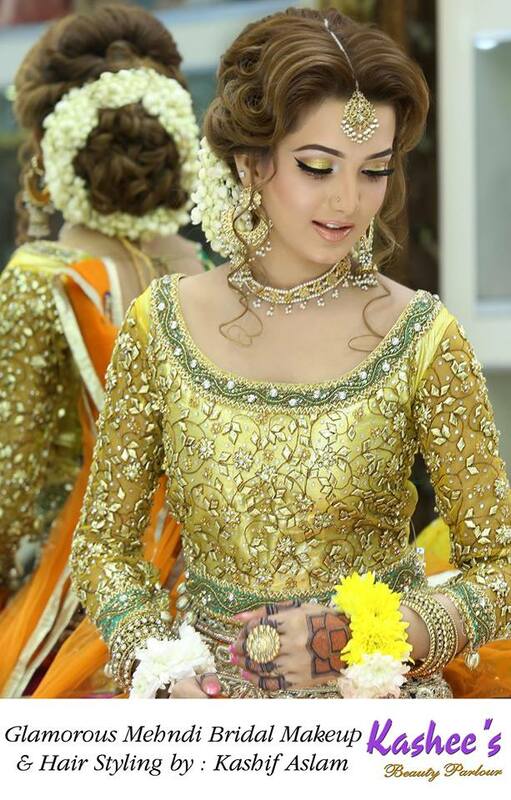 A GLIMPSE OF KASHEE’S BRIDAL MAKEUP & HAIRSTYLE BY KASHIF ASLAM. Kashee’s glamorous makeover for your big days. 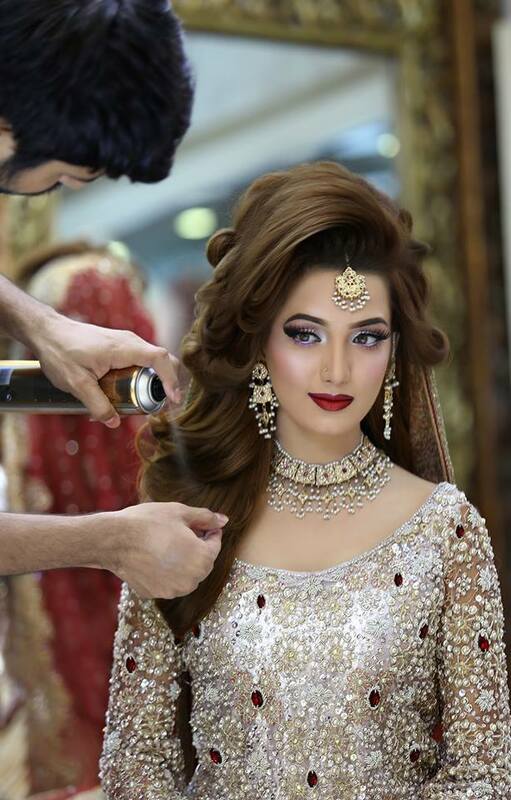 Kashif Aslam presenting you the most fascinating bridal makeover with an elegantly awe-inspiring hairstyle. This stunning beauty got a stunningly glamorous bridal makeup done so much wonderfully by Kashif Aslam, he gave her a very attractive signature eye makeup with heavy lashes and awesome winged eyeliner with glittery green eyeshade which is so beautifully blended and on the brow bone the grayish shimmer shade on the corners which is the highlight of this look, greenish shade in the lower line is used to create the sensational look, and a soft peach cream blush, with strong contouring and a coral orange glossy lips. KASHEE’S BEAUTIFUL HAIRCUT. Hey girls add beauty to your hair by Kashee’s stunning Face Framing Haircut which is giving a very stylish look Kashees has given her the best ever regal look with perfect hair styling as always. Kashees always give innovative and splendid ideas for all of you by sharing this kind of elite pictures and videos. It’s no wonder Kashees is the number 1 choice for the makeup and hair lovers. Even if you can’t visit us you can see the whole lots of things on our page. So do like and share it with everyone and don’t forget to visit Kashees for your elegant look. These attractive color contrasts came together to create a level of stunning look. 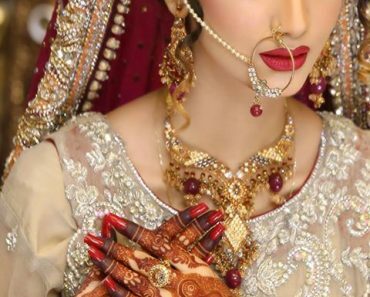 And the whole makeup is complimenting the bridal dress. 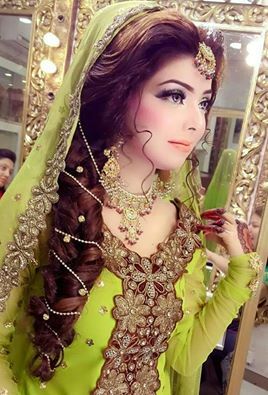 Kashif turned her complete look into the princess like from head to toe. And her hair do is totally complimenting her and she is looking elegantly beauty queen. So ladies, as you all know Kashee’s Beauty Parlor is very much famous for its magnificent makeup. Kashee always gives new and amazing surprises for all of you by sharing this kind of elite stuff and many more. Even if you can’t visit us you can see the whole lots of things on our page. So do like and share it with your entire friends and family and don’t forget to visit Kashee’s for your elegant look. 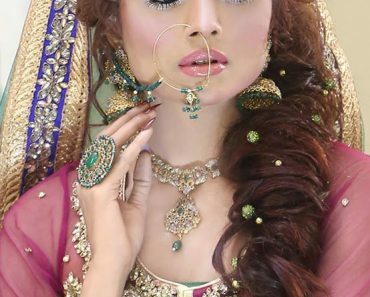 A GLIMPSE OF KASHEE’S AWE-INSPIRING BRIDAL MODLE MAKEUP & HAIRSTYLE BY KASHIF ASLAM. 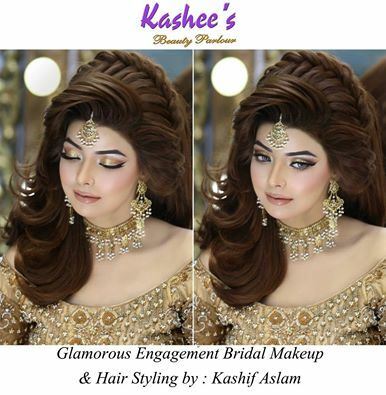 Kashee’s glamorous makeover for your big days. 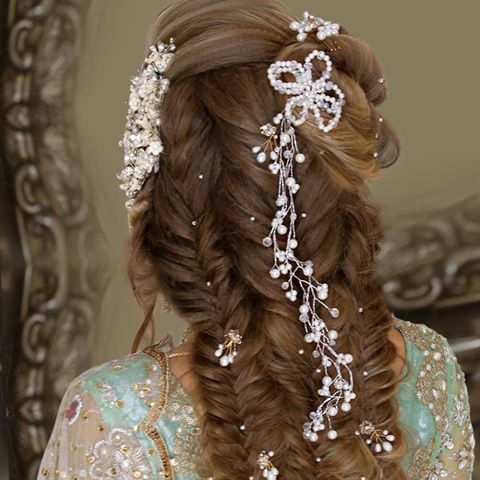 Kashif Aslam presenting you the most fascinating bridal makeover with the elegantly awe-inspiring hairstyle. This stunning beauty got an inspiring textured messy crown with chignon and jazzed up hair with messy front.. made so elegantly overwhelming, and her stunningly glamorous bridal makeup is done so much wonderfully by Kashif Aslam, he gave her a very attractive signature eye makeup with heavy lashes and awesome winged eyeliner with silverish green eyeshade which is so beautifully blended and on the brow bone the gold shimmer shade which is the highlight of this look, pink shade in the lower line is used to create the sensational look, and a soft peach cream blush, with strong contouring and a coral orange glossy lips. These attractive color contrasts came together to create a level of stunning look. And the whole makeup is complimenting the attractive jewelry. 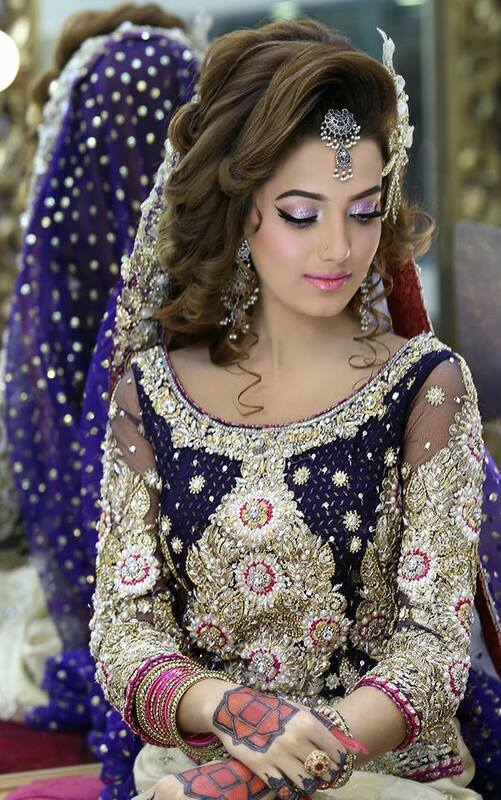 Kashif turned her complete look into the princess like from head to toe. And her hairdo is totally complimenting her and she is looking elegantly beauty queen. So Divas as you all know Kashee’s Beauty Parlor is very much famous for its magnificent makeup. Kashee always gives new and amazing surprises for all of you by sharing this kind of elite stuff and many more. So do like and share it with your entire friends and family and don’t forget to visit Kashee’s for your elegant look. 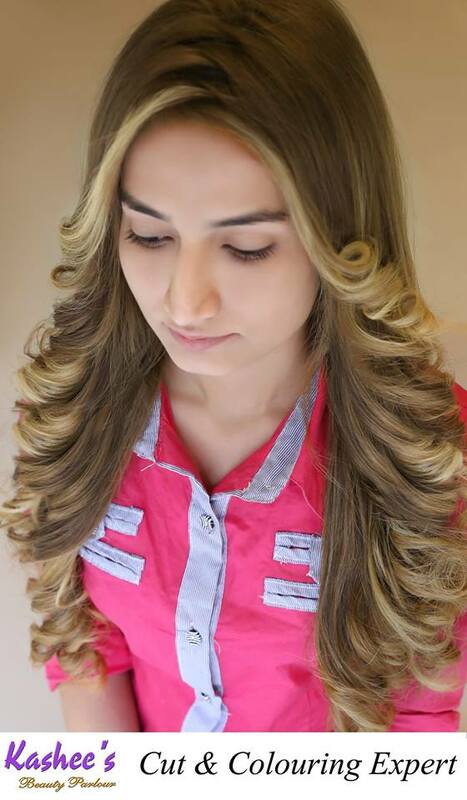 This stunning beauty absolutely loved this elegantly perfect Hair Color with Beautiful Streaks & HairCut by Kashif Aslam. Awesome Auburn Shade Dye Highlights By Kashif Aslam. 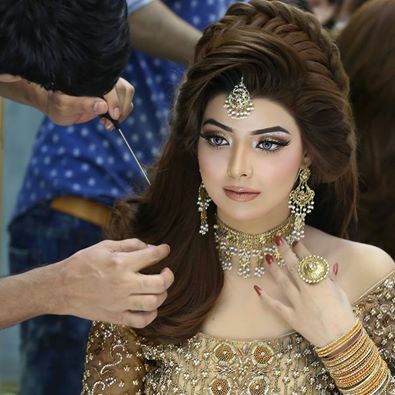 Kashees hair work is not only famed in Pakistan but also is loved worldwide and everybody just loves the perfect face-framing cuts done by Kashif Aslam. This stunning beauty absolutely loved this elegantly perfect Hair Color with Beautiful Streaks & Versatile Hair Cut by crashes. Awesome Auburn Shade Dye Highlights By Kashif Aslam. 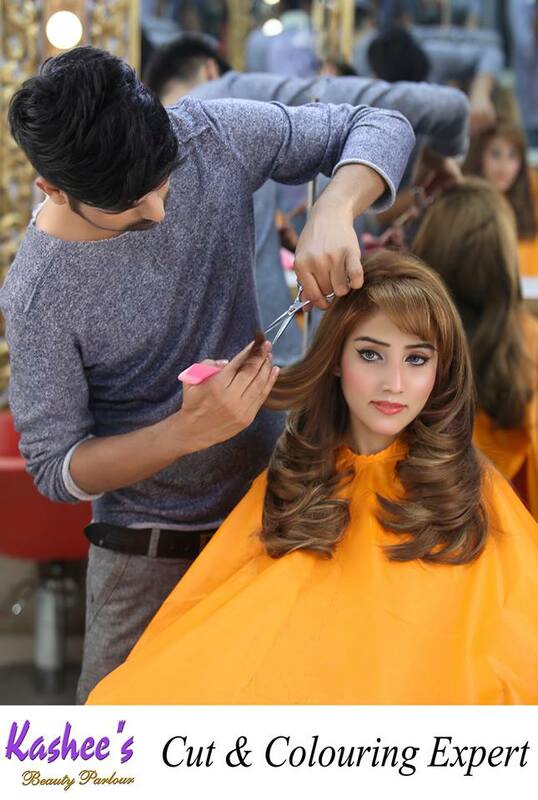 Kashees hair work is not only famed in Pakistan but also is loved worldwide and everybody just loves the perfect face-framing cuts done by Kashif Aslam. 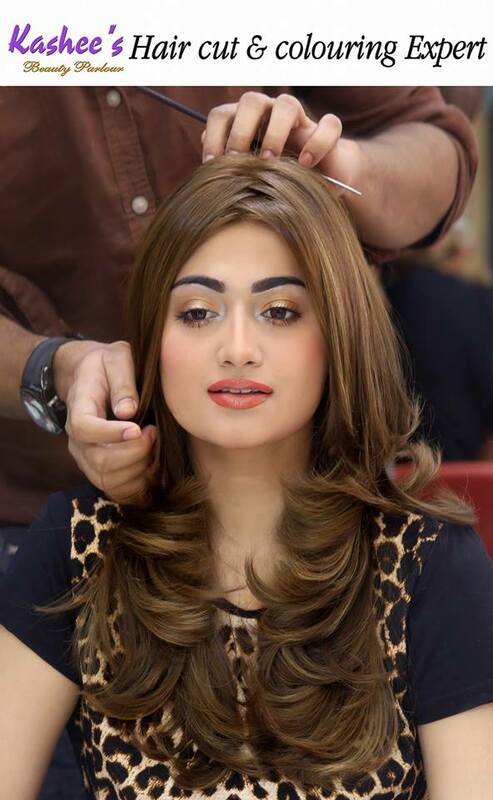 A GLIMPSE OF SHEFALI ZARIWALA HAVING A BEAUTIFUL HAIRCUT & HAIR COLOR BY KASHIF ASLAM. 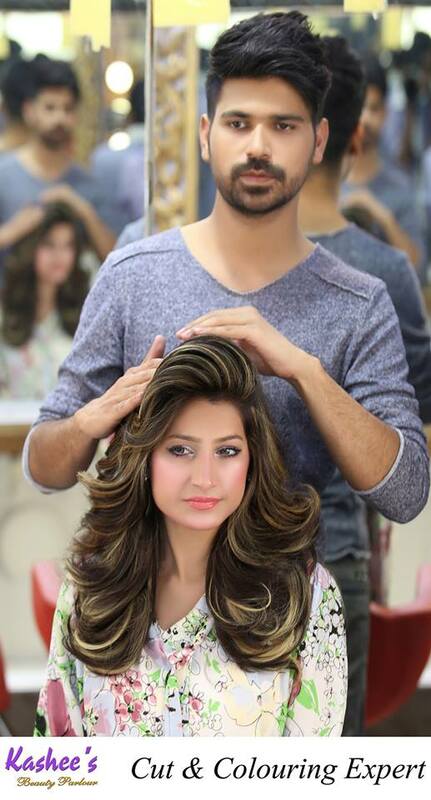 This stunning beauty absolutely loved this elegantly perfect flattering Hair Color with stylishly beautiful Waterfall layered Cut by Kashif Aslam. 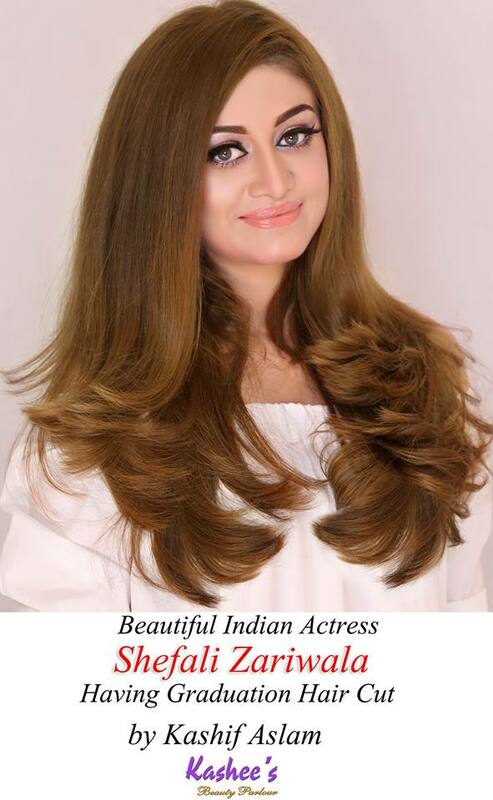 Kashees hair work is not only famed in Pakistan but also loved worldwide and everybody just loves the perfect face-framing cuts done by us & Shefali Zariwala loved it very much. Our hair experts can offer you a brilliant option for coloring and cutting. Kashees haircuts and hair pros have changed the way. up do’s are perceived in our city. Kashees always brings up new Ideas in every single thing. Kashif Aslam is the perfect leading-edge. Kashees offer a one-stop service for customers looking for hair and beauty in a friendly and relaxing environment. Providing so many services under one roof makes it a popular and convenient choice for every customer, as they can get all their needs addressed in just one visit at Kashees Beauty Parlor. Kashees main aim is to ensure all customers feel fantastic when they leave this splendid salon. They achieve this by always providing expert advice, using the best products and understanding their customer’s individual needs. With thousands of satisfied customers it’s no wonder Kashees is the number one choice for those looking for everything in one place Whether you are looking for just a simple color or a whole glamorous look Kashif Aslam and the team at Kashees Hair Room would be happy to create what is perfect for you As we all know a great haircut and hair color can be the perfect finishing touch to the whole personality. So, have something like this by Kashees and stay stylish, stay connected and of course, don’t forget to visit this best beauty parlor for your amazing hair work. which will completely transform your style statement to a desirable level. Glam from Your complete look By Kashee’s stylish Haircuts & Hair colors. Our hair experts can offer you a brilliant option for coloring and cutting. These Exclusive Hairdo’s and haircuts are soo perfect for your personality. Kashees haircuts and hair pros have changed the way up do’s are perceived in our city. He always brings up new Ideas in every single thing.. How innovative is He? Kashee’s offer a one-stop service for customers looking for hair and beauty in a friendly and relaxing environment. Providing so many services under one roof makes it a popular and convenient choice for every customer, as they can get all their needs addressed in just one visit at Kashee’s Beauty Parlor. Kashee’s main aim is to ensure all customers feel fantastic when they leave this splendid salon. They achieve this by always providing expert advice, using best products and understanding their customer’s individual needs. With thousands of satisfied customers, it’s no wonder Kashee’s is the number one choice for those looking for everything in one place. 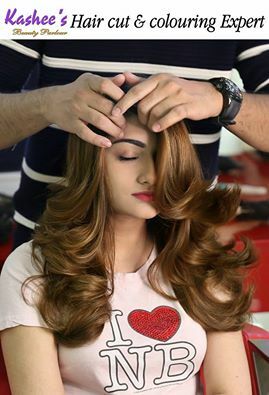 Whether you are looking for just a simple color or a whole glamorous look Kashif Aslam and the team at Kashee’s Hair Room would be happy to create what is perfect for you. As we all know a great hair color can be the perfect finishing touch to the whole personality. So Streak a couple of layers like this by Kashee’s and stay connected, stay stylish and of course don’t forget to visit this best beauty parlor for your gorgeous hair dye’s, dip dye’s, high lights, low lights, balayage, ombre and hair chunks.which will completely transform your style statement to a desirable level. 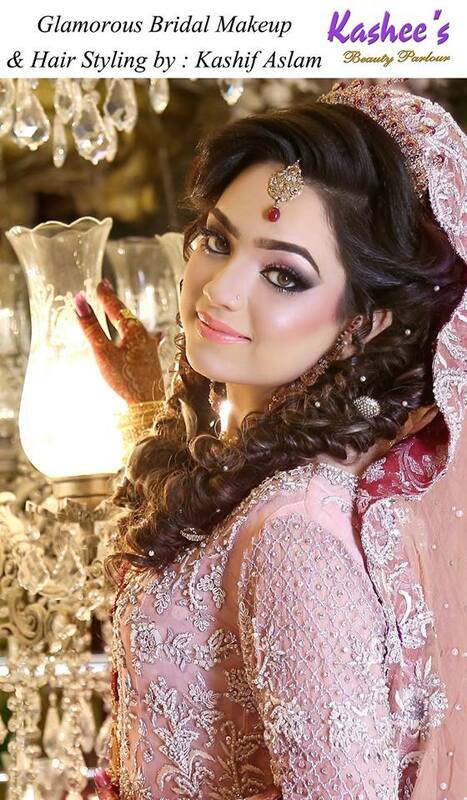 KASHEES BEAUTIFUL BRIDAL MAKEOVER AND HAIR TIME TO GET INSPIRED LADIES WITH KASHEES ADORABLE MAKEOVER BY KASHIF ASLAM. Kashees Makeup is beyond perfection. 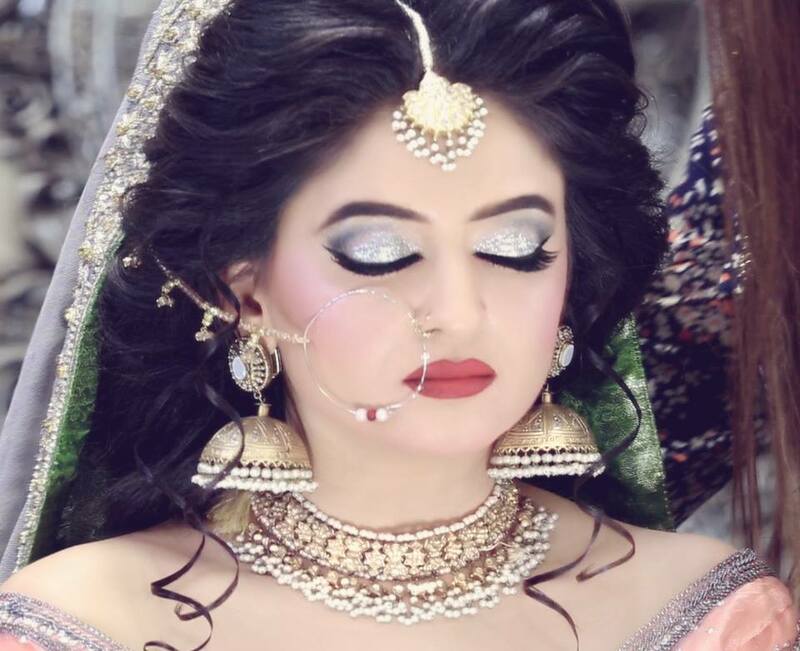 This stunning beauty got an attractive bridal hairstyle made so elegantly attractive with a very beautiful makeover accordingly to the occasion of reception. 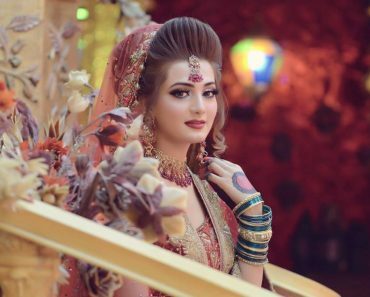 Kashif has given her the best signature eye makeup with heavy lashes and a perfect winged eyeliner with beautifully blended corners, complete with a soft pink powder blush, and lime crime cupid matte lipstick. The complete transformation from head to toe is looking so impressive & mesmerizing. Because Kashees has given her the best ever regal look with perfect hair styling as always. Kashees always give innovative and splendid ideas for all of you by sharing this kind of elite pictures and videos. 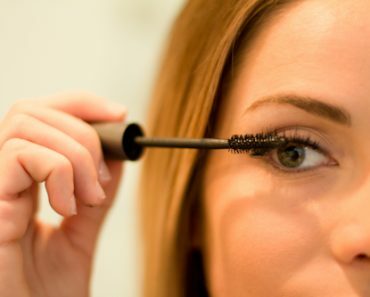 It’s no wonder Kashees is the number 1 choice for the makeup and hair lovers. Even if you can’t visit us you can see the whole lots of things on our page. So do like and share it with everyone and don’t forget to visit Kashees for your elegant look.